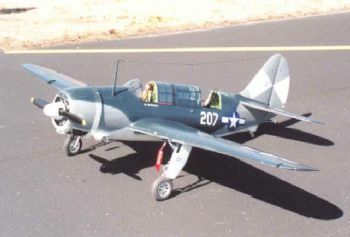 You are viewing : Home » Shop » Jerry Bates » Bates Curtiss SB2C Hell Diver Parts Set 96"
Scale - 1/6 Wing Span - 100" Power-G-62 Wt-28 lbs. 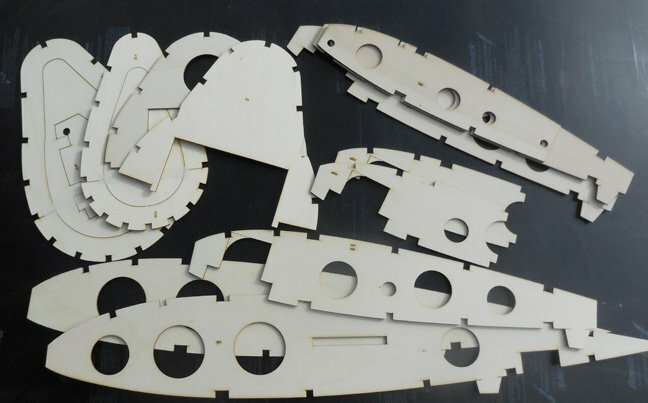 All Belair Parts Sets are produced from genuine Bates CAD files and include all the labour intensive parts laser cut, typically ribs, formers, bulkheads, tip shapes, stabiliser/fin ribs and all smaller parts listed on the plan. 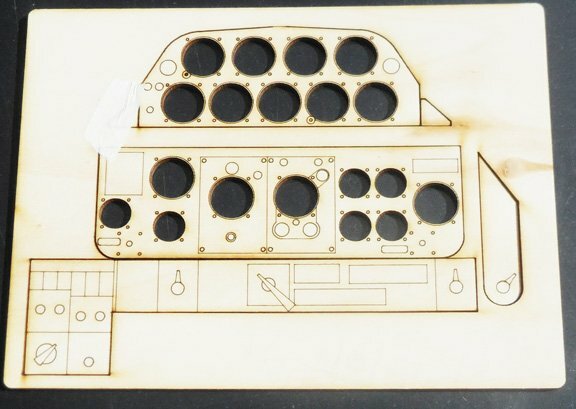 Laser cut dive brakes with 100s of holes are also included, plus the instrument panel, etched with scale details. 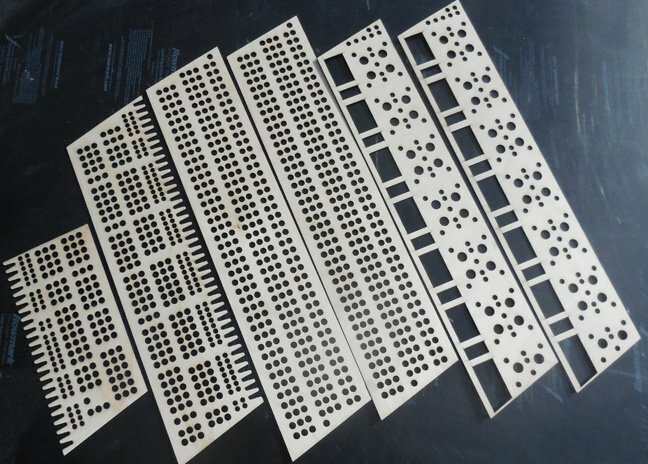 The photos below show just a few sheets from the Parts Set.